Some of the notable advancements that have come to the fore include solar skins, solar roof tiles, floating solar farms, the latest solar mounts, and so on. In 2015, the solar industry in the US grew twelve times faster than the US economy. This is laudable as greenhouse gas emissions are soaring. The World Meteorological Organization highlighted that carbon emissions hit the zenith in 2015. The release of greenhouse gases was 142% higher than the emission levels recorded in 1750. Fortunately, the use of renewable sources of energy such as solar power is increasing and helping cut down the harmful gas releases. The only catch is that such power sources have not struck their optimal notes yet. For instance, the majority of the solar panels are only 15% efficient. This means that only 15% of the sun’s radiation that strikes their surface is converted into electricity. Although solar tracking mounts have been in the market since 2016, advancements in the tech are still under progress. Their popularity has also scaled upward. A report by the Green Tech Media (GTM) outlines that the popularity of solar tracking mounts has upped by 254%. The efficiency of solar arrays is highly dependent on the sun rays striking their surfaces. However, the sun’s position shifts throughout the day, which impacts the incidence of solar radiation on the solar system. Tracking mounts aim to change this by following the sun’s direction and moving the solar panels accordingly. 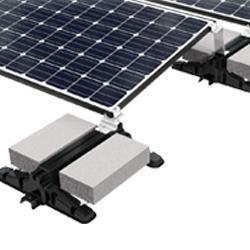 This increases the efficiency of solar panels that, in turn, boost power generation. Latest advancements in design and making of the solar track mounts have graced 2018. A case in points is SMAHsolar’s racking that directly attaches with the panels to avoid the bulky look that comes with framing and grounding the mounts. Solar for residental homes often records complain about the appearance of the solar arrays in addition to the heavy-set look that tracking mounts add. In the present year, Sistine Solar, a Boston-based design venture, has found a solution to this turn-off point. The firm has come up with solar skins that are crafted for spiralling the aesthetic look of the solar panels. Looks are custom-created to give home-owners the appearance they aspire. Essentially, the solar skin makes the solar panels look like a house’s roof. The best part is that the tech adds to the aesthetic enhancement without negatively affecting the efficacy of the solar system. Tesla’s chief executive, Elon Musk, has also been working along the same lines. His revolutionary solar tiling has only just hit the market and is doing pretty well. These solar roof tiles are up for grabs in various shapes and sizes and to help generate electricity. Tesla’s tile comes for $21.85 per square foot. These afford economical costs, better insulation, clean energy production, and longevity. About 71% of the earth’s surface is covered by water. It only makes sense the clean energy sources should also cover water surfaces. Consequently, efforts to erect solar farms on water are seeing the light of the day in recent times. 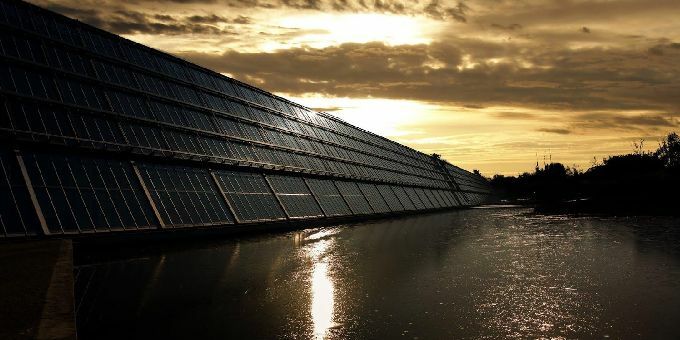 A French solar business, Ciel & Terre International, has developed Hydrelio Floating PV System. The tech facilitates the installation of PV systems on water bodies such as canals, quarry lakes, and pounds. Currently, the venture has projects up and running in England, Japan, and France. The first such project came out in 2011. However, it is gaining prominence as its pricing is becoming economical and installation is becoming easy. In 2017, Ciel & Terre Brasil, a subsidiary of the French solar specialist readied the first floating solar project in Brazil. It has an excellent power generation capacity of 304 kW. A PV system is lined with numerous solar cells. Each of these plays a significant role in energy generation. Only a single misaligned solar cell in the array can drastically impact the overall output of the system. This calls for work on the efficiency of solar cells. Subsequently, a group of researchers at the University of Toronto are working on a new light-sensitive nanoparticle tech called colloidal quantum dots. These offer a flexible and reasonable material for solar cells. So far, as per tests on panels containing this new technology show rise in efficiency by 8%. Likewise, researchers at London’s Imperial College University are working on gallium arsenide as a new solar cell material. It can swell the potential of PV systems by 33%. Such material shows incredible sunlight absorption once it is chemically charged. Technological advancement can up the progress of several fields including the solar industry. Although solar energy produces clean energy, it is not free from drawbacks. Most of all, the inefficiency of solar panels prevents solar power from working throughout the day and producing extensive power. Scientific progress is working on resolving such hindrances in the growth PV systems. Some of the notable advancements that have come to the fore include solar skins, solar roof tiles, floating solar farms, the latest solar mounts, and so on.